If you can't find the answer to your question below, please call us at (360) 378-2376. What is Island Air Ambulance and how did the Island Air Ambulance Membership Program get started? What does an Island Air Ambulance Membership cost? Who do I contact about the Island Air Ambulance Membership Program? Is an Island Air Ambulance Membership considered insurance? How would hospital or emergency personnel know I have a Membership? When do I need an Island Air Ambulance Membership? Can I sign up and renew electronically? How do I sign up if I don’t have access to the Internet or don’t have a credit card? Is there a provision for a refund if I move from San Juan County? Can I enroll and check the status of my Membership on-line? If I have a medical emergency, should I call the Island Air Ambulance Communications Center or the local 911? Who makes the decision on if and how I will be transported? Who makes the decision on which air ambulance service will transport me? Does my Membership include ground ambulance transportation between my home or local island medical provider and an island airport? Will my Membership include transportation from the receiving hospital back to the islands or my home? My insurance claims to cover 100% of the cost of air ambulance transports so do I need a Membership? If I transport myself to Island Air, will you fly me to the hospital? Who decides where the patient will be flown? I live on San Juan Island and am part of the San Juan County Public Hospital District #1, do I need to be a member of Island Air Ambulance? Will my Membership cover the cost of air transportation if my hospital of choice is located further away than an appropriate hospital facility? What if I can’t afford a Membership or medical insurance and end up being flown by Island Air Ambulance? 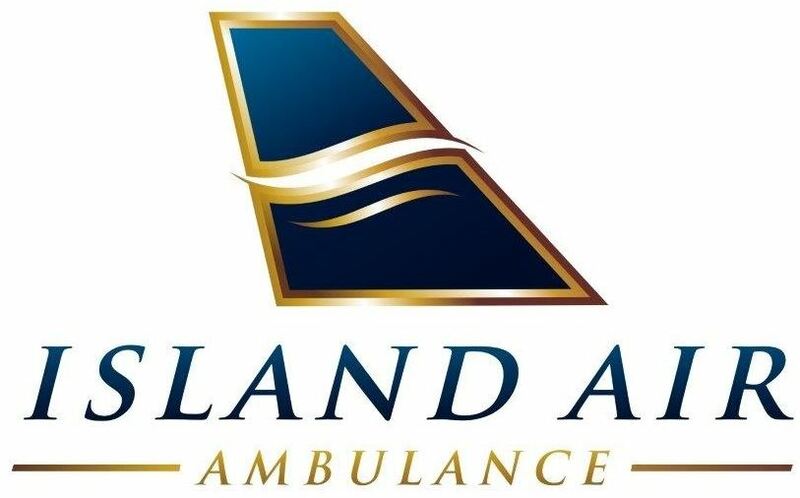 Will Island Air Ambulance transport me without a Membership or medical insurance? Who do I contact about patient billing questions? What role does Island Air Ambulance play in the emergency services community? Now that San Juan EMS has discontinued its MedEvac Membership Program, what should I do regarding an air ambulance membership? I have an AirCare Membership with Airlift Northwest, do I also need an Island Air Ambulance Membership? How can my Membership be so inexpensive and still cover all of my air ambulance transport expense? If Island Air Ambulance is not available, will my Membership cover another aeromedical provider? Does Island Air Ambulance offer group Membership discounts? Is there a limit to the number of transports per year covered by my Membership? Does my Membership include ground ambulance transportation from the mainland airport to the hospital? How do I add or remove a member of my household to my Membership? If I have Medicaid, do I need a Membership? Can a family member accompany me on the flight at no extra cost? 1. What is Island Air Ambulance and how did the Island Air Ambulance Membership Program get started? 2. What is the benefit of Membership to you? 3. Who is eligible for Membership? 4. What does an Island Air Ambulance Membership cost? 5. Who do I contact about the Island Air Ambulance Membership Program? 1. Is an Island Air Ambulance Membership considered insurance? 2. How would hospital or emergency personnel know I have a Membership? 3. When do I need an Island Air Ambulance Membership? 4. When does my Membership become effective? 5. How do I know if my application has been received? 6. Can I sign up and renew electronically? 7. How do I sign up if I don’t have access to the Internet or don’t have a credit card? 8. Does my Membership automatically renew? 9. What if my address changes? 10. Is there a provision for a refund if I move from San Juan County? 11. Can I enroll and check the status of my Membership on-line? 12. If I have a medical emergency, should I call the Island Air Ambulance Communications Center or the local 911? 13. Who makes the decision on if and how I will be transported? 14. Who makes the decision on which air ambulance service will transport me? 15. Does my Membership include ground ambulance transportation between my home or local island medical provider and an island airport? 16. Will my Membership include transportation from the receiving hospital back to the islands or my home? 17. My insurance claims to cover 100% of the cost of air ambulance transports so do I need a Membership? 18. If I transport myself to Island Air, will you fly me to the hospital? 19. Who decides where the patient will be flown? 20. I live on San Juan Island and am part of the San Juan County Public Hospital District #1, do I need to be a member of Island Air Ambulance? 21. Will my Membership cover the cost of air transportation if my hospital of choice is located further away than an appropriate hospital facility? 22. What if I can’t afford a Membership or medical insurance and end up being flown by Island Air Ambulance? 23. Will Island Air Ambulance transport me without a Membership or medical insurance? 24. Who do I contact about patient billing questions? 1. What role does Island Air Ambulance play in the emergency services community? 2. Now that San Juan EMS has discontinued its MedEvac Membership Program, what should I do regarding an air ambulance membership? 3. I have an AirCare Membership with Airlift Northwest, do I also need an Island Air Ambulance Membership? 4. How can my Membership be so inexpensive and still cover all of my air ambulance transport expense? 5. If Island Air Ambulance is not available, will my Membership cover another aeromedical provider? 1. What are the terms and conditions of membership? 2. Does Island Air Ambulance offer group Membership discounts? 3. Is there a limit to the number of transports per year covered by my Membership? 4. Does my Membership include ground ambulance transportation from the mainland airport to the hospital? 5. How do I add or remove a member of my household to my Membership? 6. If I have Medicaid, do I need a Membership? 7. Can a family member accompany me on the flight at no extra cost?